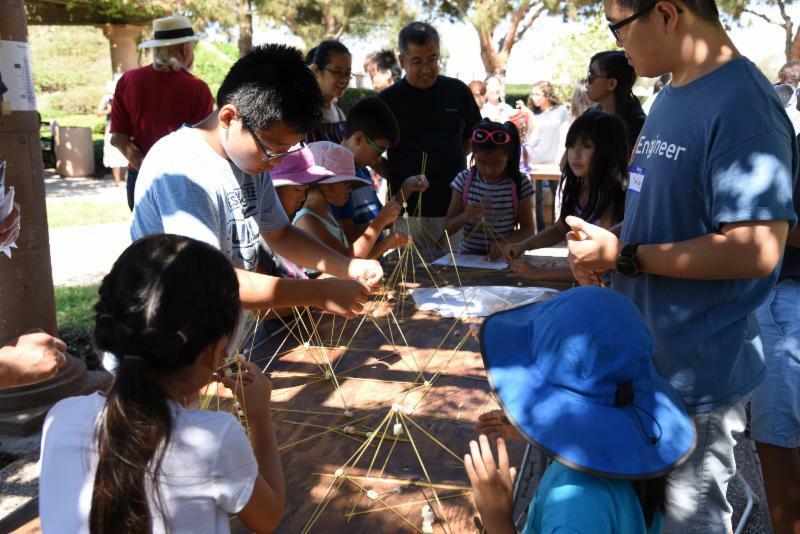 On Sunday, September 9, 2018, STEAM for All held its third annual STEAM in the Park event from 2-4 PM at Bill Barber Park in Irvine. All nine organizations under STEAM for All, each cultivating a different aspect of STEAM, hosted variety of activities for students to participate in, ranging from grades 3-8. 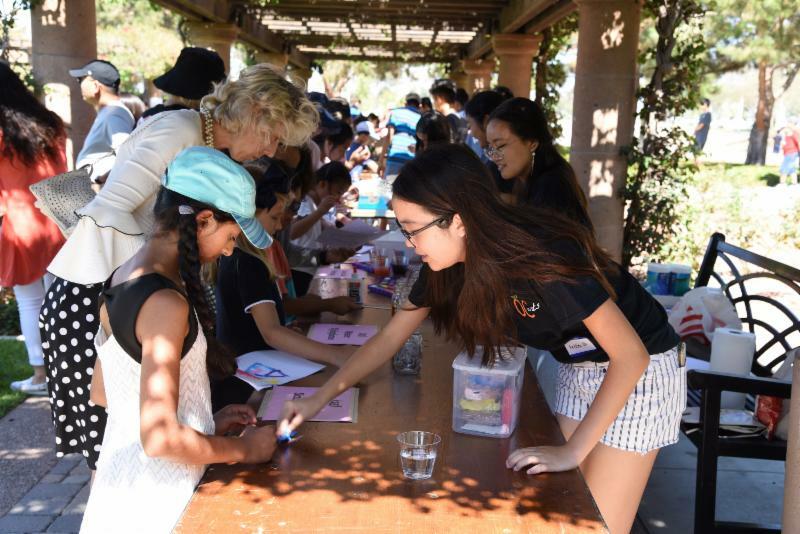 “The main purpose of holding our annual STEAM in the Park is to spark the interest within young population throughout Orange County and inspire them in STEAM,” said STEAM for All VP of Communications and STEAM in the Park Lead Organizer Cynthia Qi. With activities geared towards a younger audience, a lot of kids had a great time exploring different ideas in science, engineering, and other STEAM fields. “The Rubik’s Cube activity was my favorite because I got to try and do it and I was able to learn some steps to finish the cube. I also liked using glue and salt to create a cool painting,” said third grade participant Karina Jadhav. The event went very smoothly, seeing a steady stream of people coming in and out of the park, spending time enjoying STEAM with their families. In addition to last year’s event, the live music featured ukulele, clarinet, and performances from an entire band, garnering positive remarks. “It is truly inspiring to see the smiles on our participants’ faces. Throughout the school year, STEAM for All will be hosting weekly fun nights including similar and more engaging activities from STEAM in the Park,” said Qi. OC Math Circle held its first Summer Fun event of the school year on Saturday, August 18, 2018. One room featured lofty Jenga structures that kept students on edge while each participant gingerly removed blocks without knocking over the towers. Other rooms gave students the choice to choose between a wide variety of fun activities, including Mancala, Connect 4, and Speed. At the conclusion of the event, all participants had engaged in thought-provoking rounds of chess, wrestled with mind games in Chameleon and Mattix, and competed against each other in blazing rounds of 24. Overall, we had a blast at our first Math Fun Night. OC Math Circle hopes to bring new games each month to refresh the minds of participants with new intuitive games to train their math skills.